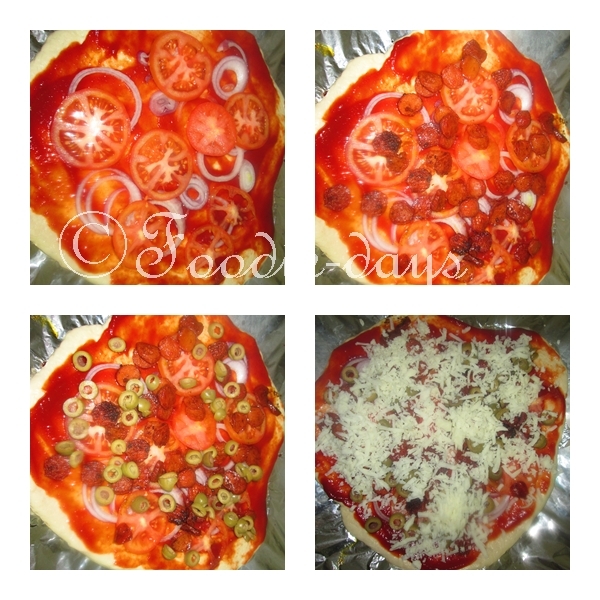 Hi .. Today I am sharing my favourite home made pizza with sausage as the topping. I made this pizza in my gas oven which is came out well. 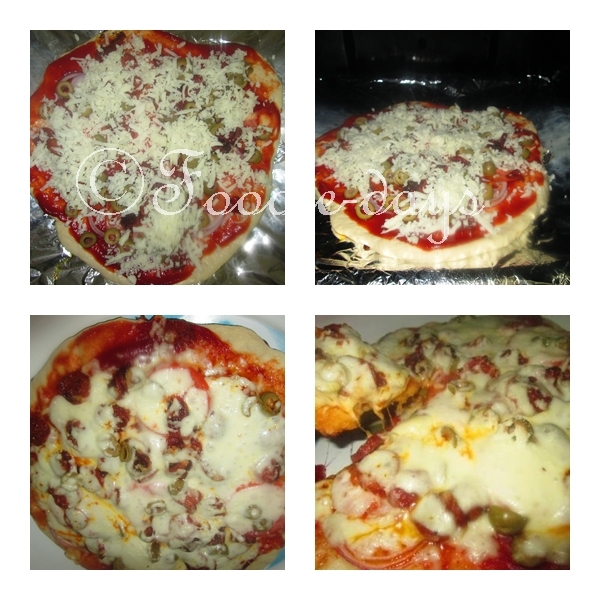 You can try this at stove top.If you need the veg pizza at stove top click here for the recipe. Just try this recipe and comment below please.. Active dry yeast-1 1/2 teaspoon. Tomato-2 sliced in round shape. Take a glass of lukewarm water(It means not too hot nor cool).Put sugar into it and stir well.Then add yeast into it. Keep it for 5 minutes to get activated. Take a large bowl put flour into it.Add salt and milk powder to it. Mix all the dry ingredients and add yeast solution into it.Make a soft dough with it.Add enough water to make a smooth dough. Keep this dough covered for 3 to for hours let it rise. Mix chopped sausages with little salt and red chilli powder. Shallow fry it and keep it aside. When the dough rise divide it into 2 equal portions.Make 2 balls with it.Roll them into a big chappathi. Preheat your oven to 240 degree celcius/n. Take your pizza base and spread tomato sauce.Just spread it all over the pizza. 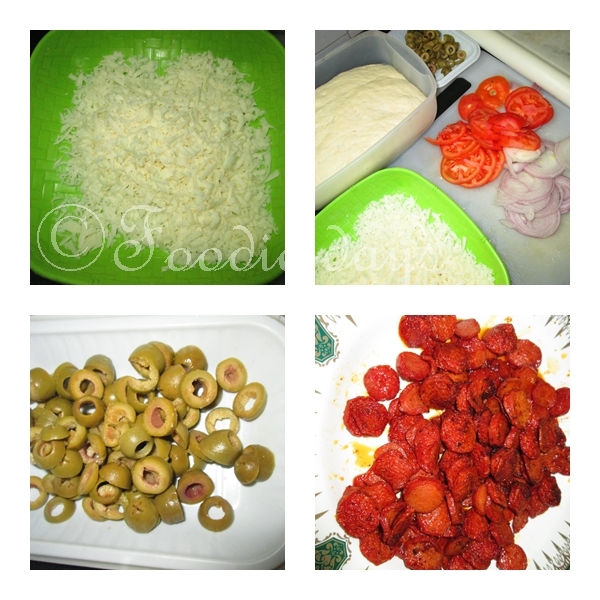 Then place onion rings,tomato slices sausages and chopped olives.Sprinkle some salt and pepper if you needed.Spread grated cheese all over the pizza.Cover it and cook until the cheese completely melted..
Cut the pizza and serve.Enjoy hot pizza..
Appetizers Breakfast Recipes Cakes and Bakes Non-Veg Recipes Pizzas Sausage Recipes.